Let the benefits of massage resonate fully by rolling off the massage table at the end of your service and commuting directly to hotel bed! Avoid the logistical headaches and save time with an in-room hotel service. A licensed, certified massage therapist will bring the spa to you so you can seize the rest of your day...or not! Our signature facials are customized to meet your skin's needs and administered with effective & luxurious EmerginC products. 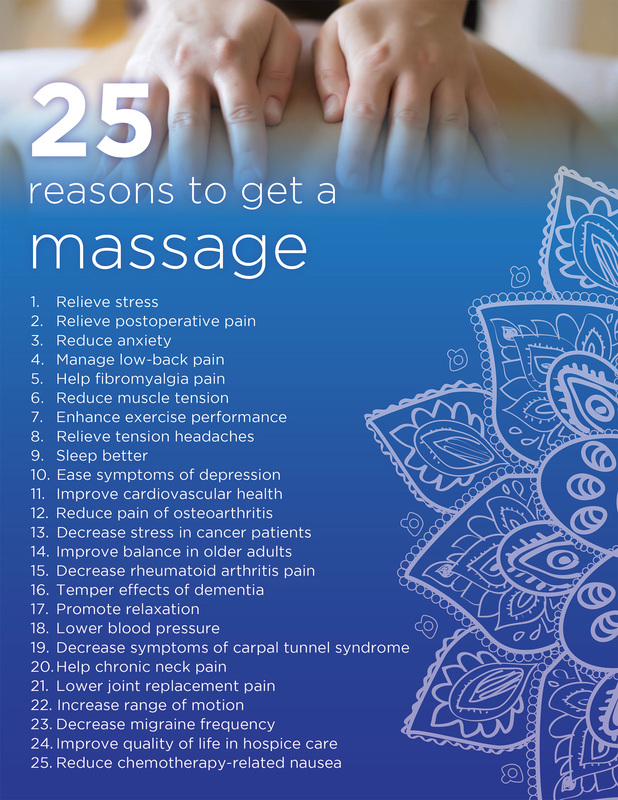 According to the AMTA here are the 25 reasons to get a massage: which five describe your justification? WCM, Inc. will send a licensed and certified technician to your hotel or residence seven days a week from 8am-9pm. Services are available outside of regular hours for an additional $25 fee. Same day and short notice bookings honored. All therapists and technicians are licensed and certified. 24-hour cancellation/rescheduling policy. Full-charge for changes within this time.